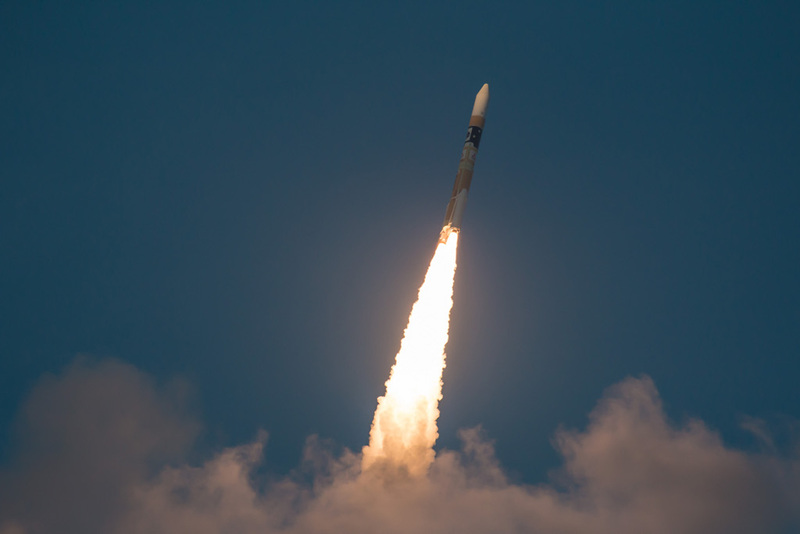 Explanation: On February 17 at 5:45pm JST this H-IIA rocket blasted skyward from JAXA's Tanegashima Space Centre located off the southern coast of Japan, planet Earth. Onboard was the ASTRO-H X-ray astronomy satellite, now in orbit. Designed to explore the extreme cosmos from black holes to massive galaxy clusters, the satellite observatory is equipped with four cutting-edge X-ray telescopes and instruments sensitive to photon energies from 300 to 600,000 electron volts. By comparison, visible light photon energies are 2 to 3 electron volts. Following a tradition of renaming satellites after their successful launch, ASTRO-H has been newly dubbed "Hitomi", inspired by an ancient legend of dragons. Hitomi means "the pupil of the eye".